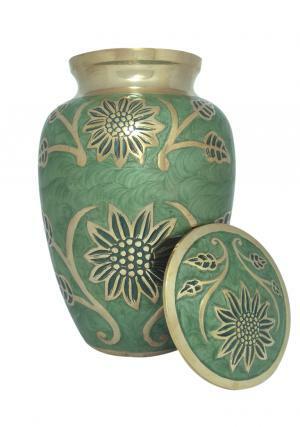 Gorgeous Green Memorial Adult Urn is decorated with sunflower and garlanded leaves around the flower. 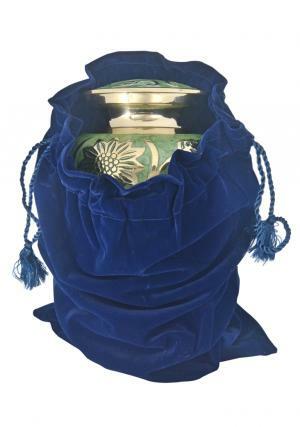 The brass metal urn has a smooth finish with green enamel and necked mirror reflective brass finish. 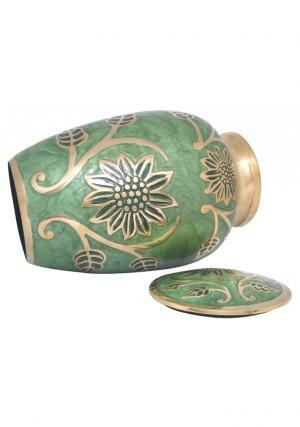 The lid of the Sunflower engraved gorgeous large green funeral adult urn has the presence with flower engraving with green finish. The screw threading on the lid is used to secured the ashes of the cremated loved one’s from top. 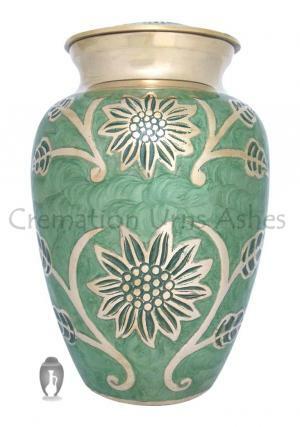 The Engraved Sunflower Green Adult Cremation urn is capable of preserving ashes of 200 cubic inch(approximate). 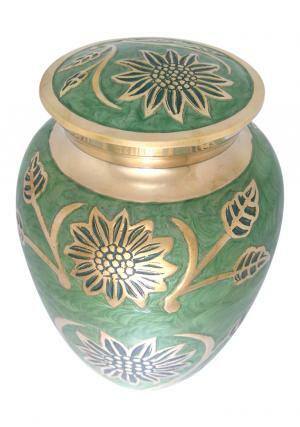 The measure length of urn is 10.14 inch in height, 6.7 inch in width and weighs 2.63 kg(exclusion of ashes).